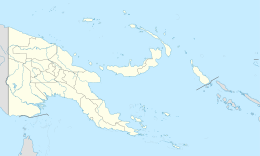 Bagaman Island is an island of Papua New Guinea, part of the Calvados Chain within the Louisiade Archipelago. Misima language is the native language on the island. ^ "LLG map" (PDF). Archived from the original (PDF) on 2010-08-11. Retrieved 2016-03-11.